July 2006 and supermodel Kate Moss is photographed at the Glastonbury festival wearing a pair of black, chunky, knee-high rubber boots. The photograph is seen by millions, many of whom probably thought “That woman could wear anything and still look good”, but Michael Todd who have previously worked with Ugg in Australia thought something completely different. He thought “Opportunity”. The boots in question were made by 150 year old British brand, Hunter. Todd decided to call Hunter’s chief executive, Peter Mullen. Todd explained his thinking to Mullen. Moss’ unprompted choice of a pair of traditional old Hunters- it wasn’t a classic brand placement– meant the brand might be well placed to shed its old-fashioned, even stuffy image. Todd’s pitch was that the brand needed to be ‘re-booted’ and to target a younger, more fashion-conscious target audience. Mullen listened and six months later he hired Todd, soon making him the company’s chief marketing officer and charging him with reinventing the Hunter brand. In the past Hunter had targeted its boots at British farmers, horse lovers and members of the “leisured” class who wore them while mucking stalls and tending sheep, but its image was damaged when the company went into bankruptcy in 2005. Then, in April 2006, it was acquired by a consortium of owners, including Mullen, the founder of Thomas Pink shirtmakers. The strategy at that had been to cut costs so moved manufacturing from Scotland to China while trying to raise the price of a pair of boots by 20% to $115; they did add new colours and textured versions. Todd decided that he wanted to play up the bootmaker’s historic appeal but that it should be, as he had suggested to Mullen, targeted at middle and upper class high-flyers the sort of people who went “glamping” (glamourous camping) to festivals like Glastonbury. In 2007 he persuaded a buyer at John Lewis to carry two styles of Hunter boots at its store in Reading, England, the site of another of the big annual music festivals. It was to prove a turning point; the boots sold quickly and today John Lewis sells 30 Hunter lines nationally. Todd, through his connections made while at Ugg – another long-established brand that had become trendy amongst the fashion conscious – then secured mentions and features in such magazines as Grazia in the U.K. and Vogue in the U.S. and soon even more “trendsetters” were seen wearing jeans and tights tucked inside their Hunter boots. Todd worked on developing the brand internationally. In The US they got listings in Bergdorf Goodman, Bloomingdale’s and 400 other outlets, and sales there now account for at least 30% of the brand’s overall sales. The brand had had royal connections; in 1977 Prince Philip, Duke of Edinburgh, had awarded Hunter boots a Royal Warrant, which designated the company as an official supplier to the Royal Family. The brand had even got its first celebrity exposure in 1981, when Princess Diana–then the shy, unstylish Lady Diana Spencer–wore green Hunter boots in her pre-makeover engagement photos. In 2008 Hunter made $2.8 million pretax, a 25% increase over 2007 on sales that rose 60% to $22.7 million. 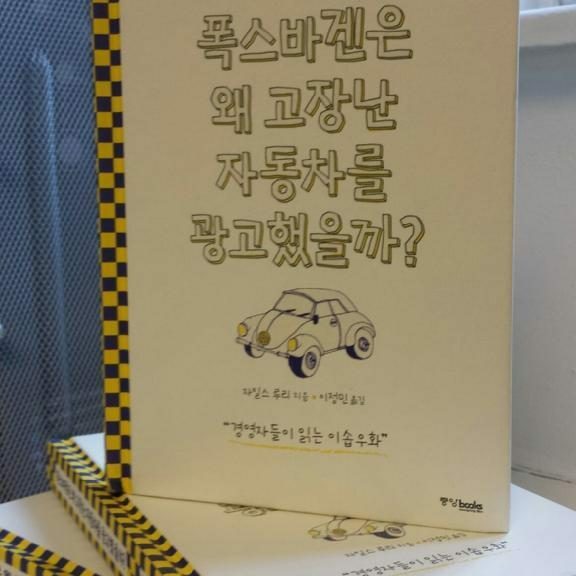 This is the Korean version of The Prisoner and The Penguin, where it has been re-titled “Why Volkswagen advertised the broken car” using my story about the development of the famous ‘Lemon’ ad as the lead story. You may not know the name Emil Jellinek but it is highly likely that you know the name of his daughter. Emil Jellinek was a successful Austrian businessman who had homes in Baden near Vienna and Nice. With a love of speed, he took an early interest in the arrival of the automobile and in 1897, he made the journey to Cannstatt to visit the Daimler factory and ordered his first Daimler car – a belt-driven vehicle with a six-hp two-cylinder engine. The car had for its time an impressive top speed of 24 km/h but this was soon too slow for Jellinek. He ordered two more vehicles but demanded that they have a top speed of 40km/h. The two Daimler Phoenix cars he was to receive in response were the world’s first road vehicles with four-cylinder engines. Emil Jellinek was well connected with the world of international finance and even the aristocracy and so decided to put those contacts to good use. He negotiated a deal with Daimler and began to promote and sell their cars. In 1899, Daimler-Motoren-Gesellschaft (DMG) supplied Jellinek with ten vehicles; in 1900 the number went up to 29. Jellinek however continued to demand ever faster and more powerful vehicles for himself, as he had decided he wanted to enter in the new world of automotive race meetings – first and foremost of which was the Nice Week. Jellinak decided to name his team after his then ten years old daughter and due to his success it was a name that was soon well known in motoring circles. In 1900 following on his success Jellinek and DMG signed an agreement to produce a new engine which would bear a product that that was a combination of Daimiler and Jellinak’s daughter. Jellinek ordered 36 of the vehicles with the new engines at a total price of 550,000 marks – a huge and very valuable order for the time, but just a few weeks later, he placed a new order for another 36 vehicles. The first vehicle to be fitted with the new engine, a 35-hp racing car, was delivered to Jellinek by DMG on December 22, 1900. 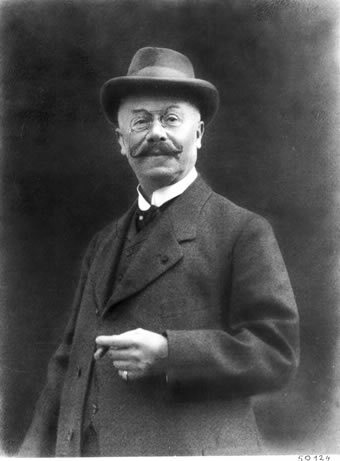 It had been developed by Wilhelm Maybach, the chief engineer at DMG. With its low centre of gravity, pressed-steel frame, lightweight high-performance engine and honeycomb radiator, it featured numerous innovations and is still regarded by many as the first modern automobile. Nice Week in 1901, proved an enormous success and attracted even more publicity for Jellinek and the new cars. DMG quickly launched sister 12/16-hp and 8/11-hp sister models. On June 23, 1902, it was agreed to lodge an application for DMG to use Jellinek’s daughter name as the trade name and this was legally registered on September 26. His daughter’s name which means ‘grace’ in Spanish was, of course, Mercédès. “The great grey-green, greasy Limpopo River, all set about with fever-trees” is not only the place where Kipling’s The Elephant’s Child took “his ‘satiable curtiosity” and ended up with his “blackish, bulgy nose” stretched into a trunk, it is where Peppadew, the brand of sweet piquanté peppers was discovered and is now grown. The story of the first new fruit to be introduced to the world market since the arrival of the Kiwi, begins near the Limpopo one day in 1993. Businessman and farmer Johan Steenkamp was looking around the garden of his holiday home in the Eastern Cape in South Africa when he spotted an unusual-looking bush. It stood head high and was laden with small bright red fruit which to Johan looked like a cross between a miniature red pepper and a cherry tomato. Johan obviously had some of the Elephant’s child’s ‘satiable curtiosity and so gingerly, but not as it was to prove foolishly, bit into one. He was rewarded with a unique, delicious peppery yet sweet taste. Johan was later to discover that the plant was a cultivar (a type of plant selected for its specific characteristics and maintained that way by propagation) of the Capsicum baccatum. He also found out that they have a mild heat of around 1,177 on the Scoville scale but as to where his bush originated from he never discovered. “Where the plant is native to is still open to debate but we think it’s from Central America. I also have my suspicions about how it came to South Africa because the previous owner of the house where Johan first discovered it was a botanist who had travelled quite extensively in Central America,” says Phil Ovens, now managing director of Peppadew International. Believing that he might had hit upon something really new, Johan saved some seeds from that first crop which he then cultivated and nurtured. In the meantime he also the developed the secret pickling recipe with which to process the fruit and which is still used largely unchanged. He then bottled and started to sell them locally. He christened his new brand Peppadew® – a portmanteaux name blending the fruit’s peppery taste with the fresh, light imagery of the morning dew. So how many clues do you need before you can guess the brand? Her birthday is November 1st. She has a twin sister named Mimmy. Her favourite food is apple pie. Her favourite subjects in school are English, music and art. She is in the third grade but when school’s out she travels the world making new friends. She is bright, kind-hearted, and loves the outdoors. She first appeared in 1974 and doesn’t seem to have aged a day since then. She is none other than the worldwide mega brand Hello Kitty. Kitty’s story actually begins in 1962, when Shintaro Tsuji founds Sanrio and begins selling rubber sandals with flowers painted on them. panded range of merchandise sales and profits increased, so he started to hire cartoonists to design cute characters for him. His growing stable of characters included a number of characters who were supposed to have originated in the US. In 1974 Tsuji commissioned Yuko Shimizu to create a new character. The brief was for a “British” character because at the time, in the mid-1970s, foreign countries and in particular Britain, were considered trendy in Japan. Sanrio’s motto is “social communication” and Tsuji’s other request was that the new brand name should reflect that. Shimizu came up with a drawing of a white Japanese Bobtail cat that had a red bow in its hair and was wearing blue overalls. She got the name ‘Kitty’ from Lewis Carroll’s Through the Looking-Glass, where Alice’s cat is called Kitty. To reflect the social communication Shimizu first considered “Hi Kitty” before settling on “Hello” to capture the friendly nature required. A distinctive feature of Hello Kitty is the lack of a mouth. Spokespeople for Sanrio have given slightly different explanations for the omission over time. At one time they said they wanted people to “project their feelings onto the character” and “be happy or sad together with Hello Kitty”. Another explanation Sanrio has given is that they see Hello Kitty as a symbol of friendship; they hope she will encourage friendship between people across the world and so she “speaks from the heart. She’s Sanrio’s ambassador to the world and isn’t bound to any particular language”. The character’s first appearance on an item was a vinyl coin purse in Japan where she was pictured sitting between a bottle of milk and a goldfish bowl. She first appeared in the United States in 1976. Originally aimed at pre-teen girls, Hello Kitty’s market has broadened considerably to include adult consumers. She can now be found on a huge variety of products ranging from school supplies to fashion accessories to high-end consumer products. Several Hello Kitty TV series have been produced and she is the main character at the two Japanese Sanrio theme parks, Harmonyland and the indoor Sanrio Puroland. 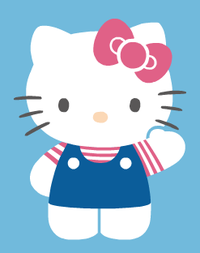 In 2014 Hello Kitty was estimated to be delivering $7 billion a year, interestingly all without any advertising. It may not quite match Jane Austen’s famous opening to Pride and Prejudice “It is a truth universally acknowledged, that a single man in possession of a good fortune, must be in want of a wife” but to students of travel it perhaps should be as famous. It is in fact the first line of Miss Jemima Morrell’s Swiss Journal, written in 1863, when she was one of the first party to Switzerland on the forerunner to a foreign package holiday organised by Thomas Cook. Thomas Cook was a Baptist Minister who had become a cabinet maker and though he never planned it, he became a true travel revolutionary. On 9 June 1841 he was walking from his home in Market Harborough to the nearby town of Leicester to attend a temperance meeting. As he often did he was pondering the social problems of the age and how to his mind so many of them came down to alcohol. He later recalled, ‘the thought suddenly flashed across my mind as to the practicability of employing the great powers of railways and locomotion for the furtherance of this social reform’. At the meeting, Thomas suggested that a special train be engaged to carry the temperance supporters of Leicester to a meeting in Loughborough some four weeks later. The proposal was greeted with enthusiasm, so on the following day, Thomas took his idea to the secretary of the Midland Railway Company. A train was duly arranged, and on 5 July 1841 nearly 500 passengers were carried in the then enormous distance of 12 miles and back for a shilling. The day was a great success. During the subsequent three summers Thomas arranged trips between Leicester, Nottingham, Derby and Birmingham on behalf of local temperance societies and Sunday schools. It was a period of ‘enthusiastic philanthropy’ as other than the printing of posters and handbills, he had no financial interest in any of these early excursions. All this was to change in the summer of 1845 when Thomas organised his first commercial venture – a trip to Liverpool. Tickets were 15 shillings for first-class passengers and 10 shillings for second. To publicise the journey and provide his customer with detailed information he decided to produce a handbook of the journey – a 60-page booklet that was a forerunner of the modern holiday brochure. Thomas’ business grew and soon he was running trips to Wales, Scotland and Ireland and began to think about organising foreign trips to Europe and the Holy Land. A conversation with Sir Joseph Paxton, the architect of the Crystal Palace, put those plans on hold as Thomas agreed to focus bringing workers from Yorkshire and the Midlands to London for the Great Exhibition of 1851. By the end of the season Thomas had taken 150,000 people to London. In 1855 an International Exhibition was held in Paris for the first time and Thomas thoughts returned to his plans for international travel. He tried to persuade the companies commanding the Channel traffic to allow him concessions but they refused to work with him. Not one to give up he explored other options and identified the route between Harwich and Antwerp as a gateway to northern Europe. Thomas therefore planned a grand circular tour that would include Brussels, Cologne, the Rhine, Heidelberg, Baden-Baden, Strasbourg and Paris, finally returning to London via Le Havre or Dieppe and during the summer of 1855, Thomas escorted his first tourists to Europe. 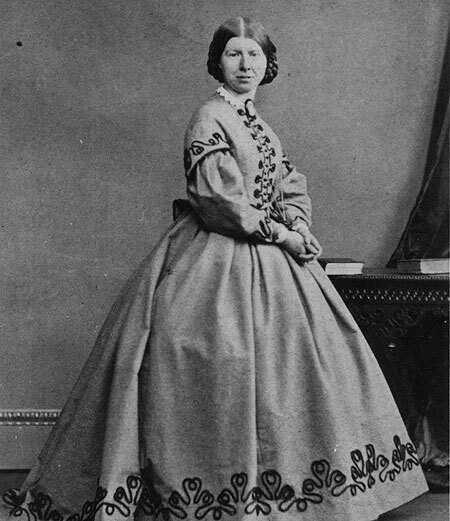 In June 1863 Thomas decided to expand his trips into Switzerland and it was on an initial tour, part guided holiday part information-gathering trip, amongst a party of more than 60 ladies and gentlemen was a Jemima Morrell. Those original diaries today sit available for anyone to see in the Thomas Cook Archives. Thomas was soon organising further trips, including the first circular tours of Switzerland and subsequently his first Italian tours. Thomas’s travellers to Switzerland and Italy were from the growing middle classes and they expected better accommodation than his earlier working-class customers had on their short journey across the Midlands. He started to negotiate with innkeepers and hotel owners for rooms and meals at good prices and he developed two revolutionary travel systems: one was the hotel coupon, launched in 1868, which travellers could use to pay for hotel accommodation and meals instead of using money; the other was his circular note, first issued in 1874 and a forerunner of the travellers cheque, which enabled tourists to obtain local currency in exchange for a paper note issued by Thomas Cook.